On to a riding update. Following our last XC schooling, I was really touched by the encouragement and support for dealing with fear and anxiety. 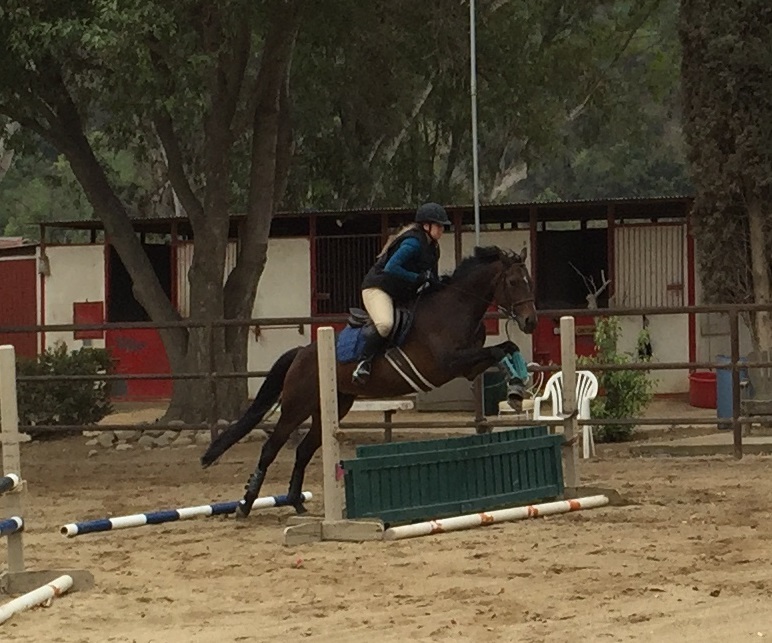 Our jumping rides since then have been gymnastics with a focus on my body position and solidifying my lower leg. The height has stayed pretty low (2′ – 2’3″) which has been A-OK with me. I’ve said goodbye to my old friend, the neck strap. 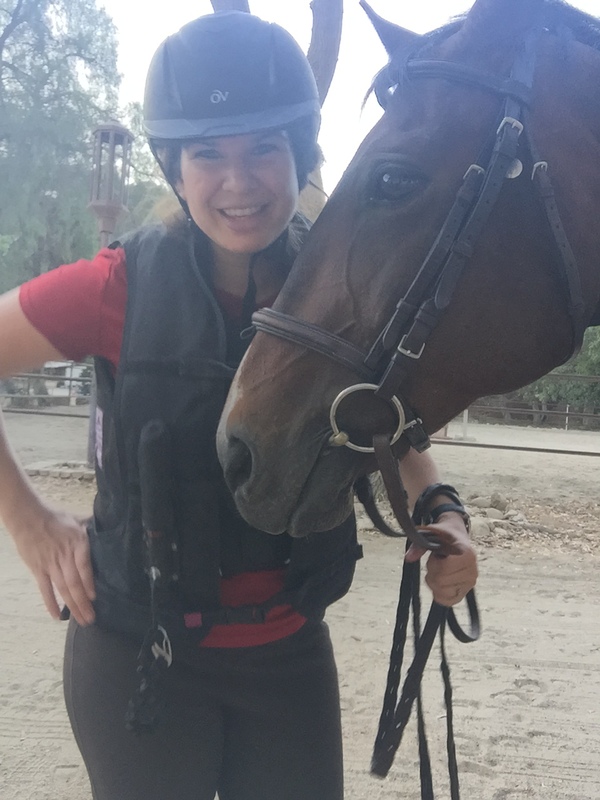 It took a few rides for me to get comfy without it; I used it for pretty much every single jump on Hemie. I no longer need the neck strap to remind me to keep my hands forward. I am releasing better over jumps and carrying my hands higher in general. Hannah continues to be a doll. She has her sassy moments, but overall I’m impressed with her patience and sense of humor when I get discombobulated or nervous. The other day I dropped a rein over the first jump of a 5-stride line. I pulled out of the line, but then regretted it. We would have been fine over that 2nd jump even if I couldn’t manage to get my rein back in the 5 strides. It was a good feeling, realizing that I trust her to know and do her job. We are headed to a jumper show this weekend. It will be our 2nd show together and I’m looking forward to it. I’ll also be meeting up with Karen from Not So Speedy Dressage who is in my area for a dressage show. Bring on the weekend! Yay! I'm happy things are going so well with Hannah. Have fun at the show! So glad you two are meshing so well!! Love your happy smile in the last pic!! ya know, i kinda think grids are good for the soul haha. 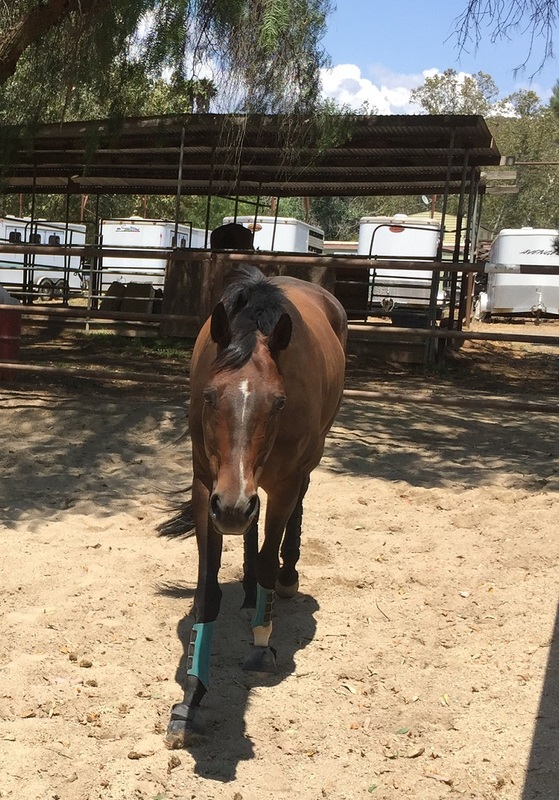 also, fwiw, my trainer requires all students to use a neck strap whenever jumping. she figures that if it's good enough for William Fox Pitt it's good enough for her and her students! wishing you the best of luck at the show – have a blast! !